We help independent travellers decide on the best way to see Europe offering caring service and terrific Europe car hire value deals. You tell us what YOU or your client wants, we’ll listen, make suggestions and once you are happy, we’ll offer you a simple, easy to read quotation. We GUARANTEE that you will be extremely satisfied with our service or we’ll give you back 10% of your rental price! 2019 Early Bird Specials are Here ! Great 2019 Early Bird Specials are rolling in Click below to view the current Specials available. Keep your eye out for new specials coming in. Please see the range of available Canal Boat Rental Specials !We cover Canal Boat Hire in Europe including Belgium,England, France, Germany, Holland, Ireland, Italy,Poland,Portugal,Scotland, Spain & United Kingdom. New 2019 Rental Rates and Specials are being released daily. Please send us an Enquiry and we can find you the best deal Specials Available. Want to keep up-to-date with the latest deals and news? Why notSubscribe to our Newsletter..
Travelling to the USA, Canada, Chile, Australia or New Zealand? For a guaranteed great trip - try a self skippered canal boat. 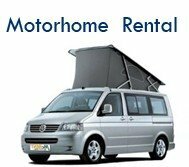 Leasing is an alternative to car hire for non EU residents. We offer fabulous skippered canal and river cruises. Now that you know where you're going look at the attractions.